Zoo on the Move is available to schools, home school co-ops, and pre-schools during the traditional school day and school year only. All programs are based on academic standards with pre and post activities available below! For all other groups, after-school or summer programs learn more about additional Zoo on the Move opportunities. Zoo on the Move for schools is $80 per individual classroom of 30 students or less and available during the school year only, September 1st-June 1st. Zoo on the Move for commercial pre-schools is $210 per individual classroom of 30 students or less and is available year round. For school booking outside of school hours or the school year, the cost is $210. School festivals is $310. Payment is due 2 weeks after registration is completed. We will travel within 30 miles driving distance of the Zoo. Bundle 4 Programs, Save $40! Schools booking 4 programs in the same morning or the same afternoon will save $40! Two instructors will simultaneously teach two consecutive classes. To receive discount, bundle registration must be complete by Jan 1st. As we serve hundreds of students per day and our calendar sells out we cannot accommodate changes to program dates, times or topic less than 10 business days prior to your program. To change or reschedule a Zoo on the Move program, contact us at least 30 days prior to the program in order to reschedule. All program fees are non-refundable. Did you know you can have a ROARing good time while reading? We’ll foster the fun in reading and build confidence through a shared reading experience with Cincinnati Zoo animal ambassadors. *NEW* Bird Buddies Students will learn about birds and what they need to survive. Afterwards, students can use what they learned to create a small project to help attract birds. Habitat, Sweet Habitat Everybody needs a home! Explore different habitats while finding out how they meet animals’ needs for survival in Ohio and other ecosystems. Look, Count, Find Out! Inquiry isn’t just for the big kids anymore! Join in on the fun of discovering how the scientific process can help answer your questions! Marvelous Me Adaptations Look carefully at animals to see how they compare with one another. What makes each and every one so MARVELOUS! Movin’ and Groovin’ Can you move like an armadillo? Can you groove like a snake? Why do animals move like they do? Wild Art Sketch a skink, draw a Dumeril's Ground Boa, sculpt a snake, paint a parrot! Partner with a Cincinnati Zoo instructor and create a masterpiece from a not-so "still life" observation. Through close examination and tactile encounters you can create Wild Art in your classroom with visiting Zoo animals as your subjects! We bring the zoo animals, you provide the art materials! Discover how wildly creative you are! Wild Writing Pen a poem, a narrative, a persuasive essay, a letter, or a report after visiting with live Zoo animals in your classroom! Through close examination and tactile encounters you can enrich your writing experience.You determine the writing form, provide the writing materials, and then explore how to write wildly! Animal Essentials What do animals really need to survive? Discover essential animal traits and must have requirements for survival! Habitat, Sweet Habitat Everybody needs a home! Explore different habitats while finding out how they meet animals' needs for survival. Note: Please request native species if desired when registering. Pass It On How is energy passed through the food web? Find out how animals participate in the web of life! Inquiry 101 (3 sessions) Using your natural curiosity and the Process of Science you will observe, question, hypothesize, collect data, and share an exciting Inquiry experience with visiting Zoo animals. This program spans 3 SESSIONS within a 3 week period. Participants will also need to complete some Inquiry Tasks outside of the times the Zoo Instructor is present in the classroom. (2 sessions) Across 2 sessions, students will learn about the basic needs of native wildlife and their ecosystems. The Zoo instructor will start students toward creating a project to help neighboring wildlife. Students will complete their project outside of the Zoo visits. Wild Art Sketch a skink, sculpt a snake, paint a parrot! Partner with a Cincinnati Zoo instructor and create a masterpiece from a not-so "still life" observation. Through close examination and tactile encounters you can create Wild Art in your classroom with visiting Zoo animals as your subjects! We bring the zoo animals, you provide the art materials! Discover how wildly creative you are! Wild Recess Want to have some Wild Fun during your next Recess time? Let the visiting Zoo animals teach you how and why they move. Then join in on the fun as your class learns some new ways to spend your Recess time! Animal Essentials What do animals really need to survive? Discover the essential animal traits and the "must have" requirements for survival! Biodiversity Discover the unique and rich variety of life in our natural world. See how the differences in plants and animals work together in a healthy ecosystem. (3 sessions) Using your natural curiosity and the Process of Science you will observe, question, hypothesize, collect data, and share an exciting Inquiry experience with visiting Zoo animals. This program spans 3 SESSIONS within a 3 week period. Participants will also need to complete some Inquiry Tasks outside of the times the Zoo Instructor is present in the classroom. *Three successive weekly sessions are required for this learning experience. Participants will also need to complete some Inquiry Tasks outside of the times the Zoo Instructor is present in the classroom. Wild Writing! Write wildly about wonderful Zoo animals! Pen a poem, a narrative, a persuasive essay, a letter, or a report after visiting with live Zoo animals in your classroom! Through close examination and tactile encounters with the animals you can enrich your writing experience. Partner with a Cincinnati Zoo Instructor and the Zoo animals for a Wild Writing experience! You determine the writing form, provide the writing materials, and then explore how to write wildly! Biomimicry Brilliance Nature, by necessity, imaginatively solves many complex survival problems. Can we consult the natural world and discover inspiration to solve some of our problems? Investigate, explore and analyze the insightful brilliance found outside!! Zoo Careers This program investigates the different types of jobs it takes to run the zoo, from driving the train to caring for the animals. Wild Writing Write wildly about wonderful Zoo animals! Pen a poem, a narrative, a persuasive essay, a letter, or a report after visiting with live Zoo animals in your classroom! Through close examination and tactile encounters with the animals you can enrich your writing experience. Partner with a Cincinnati Zoo Instructor and the Zoo animals for a Wild Writing experience! You determine the writing form, provide the writing materials, and then explore how to write wildly! Schools don’t forget there is nothing like a Field Trip to the Zoo or an overnight. 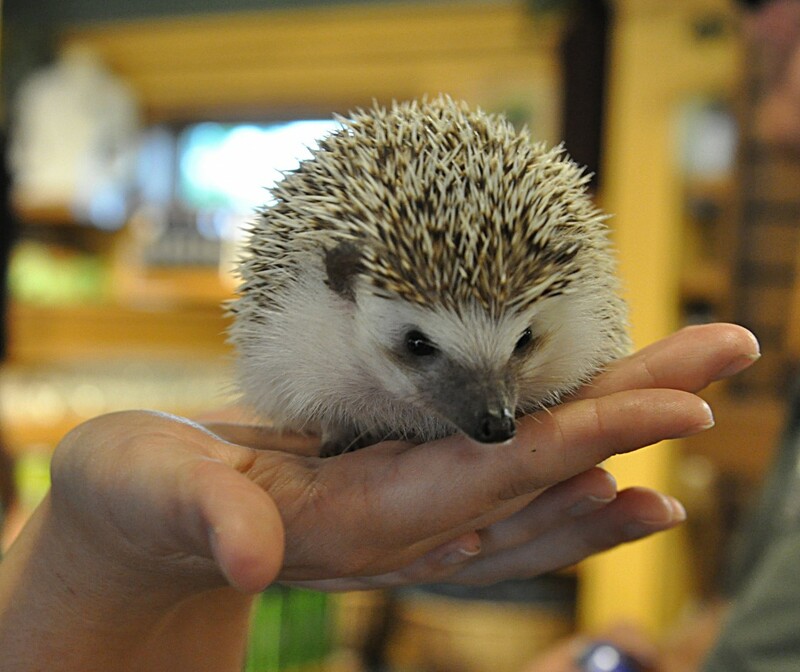 Zoo Outreach for Schools programs make great pre-visit activities! Schedule one today.